For all the mint lovers out there, the folks over at Al Waha took some cold air and mixed it with hot air above a pile of mint leaves to create this whirlwind of strong spearmint flavors. The touch of sweetness will take your hookah tobacco sessions to the next level. 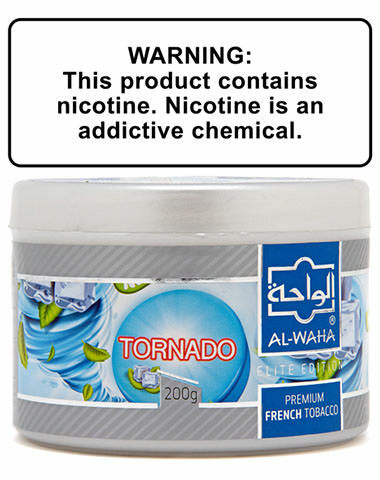 Tornado Al Waha Shisha Tobacco has a average rating of 0 stars out of 5 stars based on 0 reviews.